Michelle Duggar is the proud mother to 19 children and, until now, has not spoken publicly about her labor and deliveries. In a new blog post, though, Duggar explained how she managed to make it through all those deliveries and what helped her through all those births. "I don't think you can call labor and delivery easy no matter how many times you have been through it," Duggar wrote in response to a reader question. "Yes, experience helps a lot in working through the whole labor process but like I mentioned previously, each labor is different and you just have to prepare yourself health wise and in every other way to work toward the goal of having the healthiest delivery as is possible on your part. God nutrition plays a big part in that." 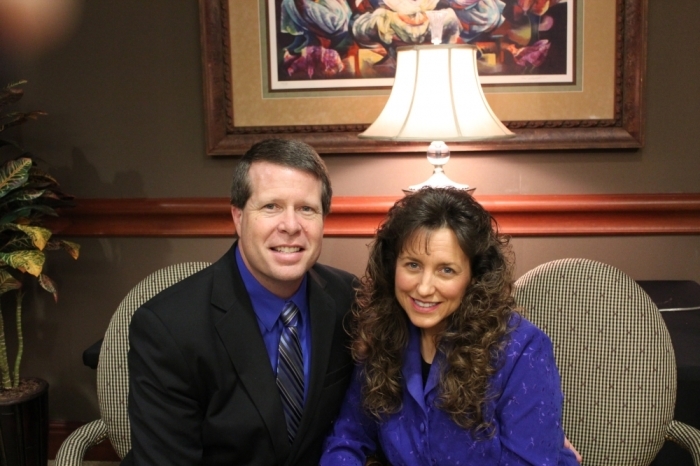 Duggar also credited the Bradley method of childbirth classes for her deliveries. The Bradley method is a nationally-recognized method of "husband-coached natural childbirth." An expectant couple will work with a certified instructor to focus on having a natural delivery and how to relax in order to allow for an easier delivery that is guided by the husband. Michelle and husband Jim Bob has had numerous homebirths, as has her daughter-in-law Anna. Michelle and Jim Bob tend to eschew medical intervention unless necessary, as was the case with twins Jana Marie and John-David, as well as Jackson Levi, Jordyn-Grace Makiya, and Josie Brooklyn. Those kids were born via Cesarean section and required a longer recovery period for Michelle. Daughter-in-law Anna has three children, two were born at home with Michelle's help, and son Marcus was born at a midwife's home. Several of the Duggar daughters have been training as midwives and have actually assisted in deliveries. Even though Michelle is older, she has always said she and Jim Bob would be willing to welcome more children if God wills it. An OB-GYN recently told the couple, though, that their odds of natural conception were quite slim, given Michelle's advanced maternal age.